Ovi's Crazy 8s has provided more than 2,600 children, soldiers and their families with the opportunity to see a Capitals home game free of charge! 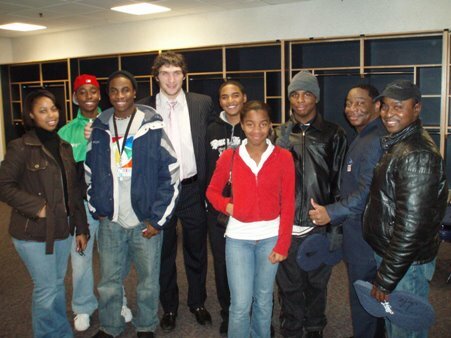 Through his decision in 2006 to create this community initiative, Alex Ovechkin generously provides underserved children and soldiers the chance to attend a Capitals preseason, regular season or playoff game at Verizon Center. 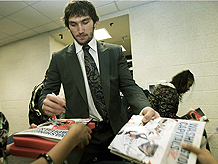 Ovechkin purchases eight Capitals season tickets and donates them to Most Valuable Kids (MVK). MVK then distributes these tickets to either soldiers and their families or to boys and girls, 18 and under, through numerous nonprofit organizations that focus on children in low-income and underserved households. Ovi's Crazy 8s sit in their very own special section in the lower level of Verizon Center and are recognized at every home game. In addition, each person in the section receives a foam No. 8 and at select games participants have an opportunity to ride the Olympia ice resurfacer and meet Ovechkin after the game.